For Fall 2018, Maxpedition introduces two(2) new backpacks in the Advanced Gear Research (AGR) lineup. Building upon the success of the Riftcore design introduced in early 2016, Maxpedition now offers the larger 30L Riftblade and the more compact 15L Riftpoint to round out this trio of ergonomic concealed carry capable backpacks. 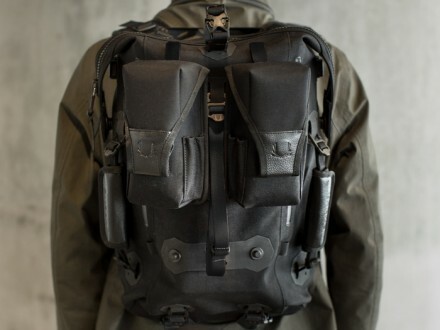 This latest release reinforces Maxpedition’s mission in the creating of the AGR line: to build military-grade tactical gear based on cutting-edge research using custom developed materials & components and with modernized aesthetics. Maxpedition’s pursuit of the best since 2003 has cultivated a clientele that has come to expect only products of uncompromising quality, durability and innovation. 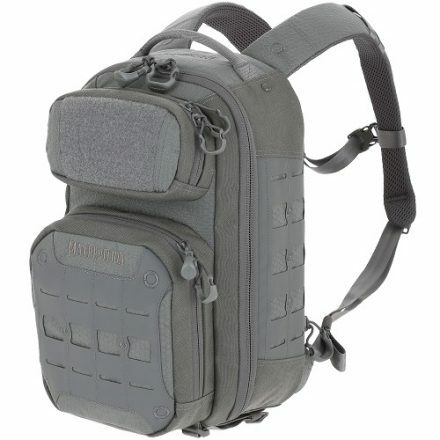 Founded in 2003, Maxpedition successfully optimized the design ethos of American military-grade MOLLE gear to suit the needs of everyday life and popularized its functionality to a global audience. Often imitated but never equaled, genuine Maxpedition gear is the benchmark against which others are compared, and it is trusted by special forces operators, law enforcement officers, adventure travelers and prepared citizens around the world. In 2018 and upon the foundation laid by its Legacy and AGR lines, Maxpedition builds the new Entity series of concealed carry products, further strengthening the Maxpedition brand umbrella of tactical carry solutions. In 2018, Maxpedition celebrates its 15 year anniversary. The family-owned company is led by its founder, Tim Tang, and is headquartered in Los Angeles, California, USA. 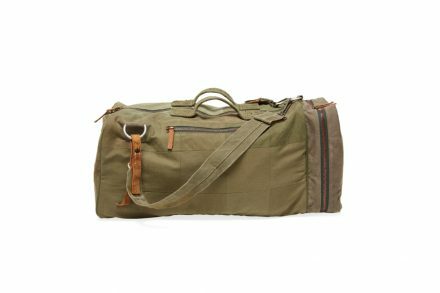 Stephen Kenn’s Remanufactured Collection takes scrap military tent canvas, and accents it with vintage military bag hardware and leather, creating a series of cool-looking (if expensive) bags and accessories. 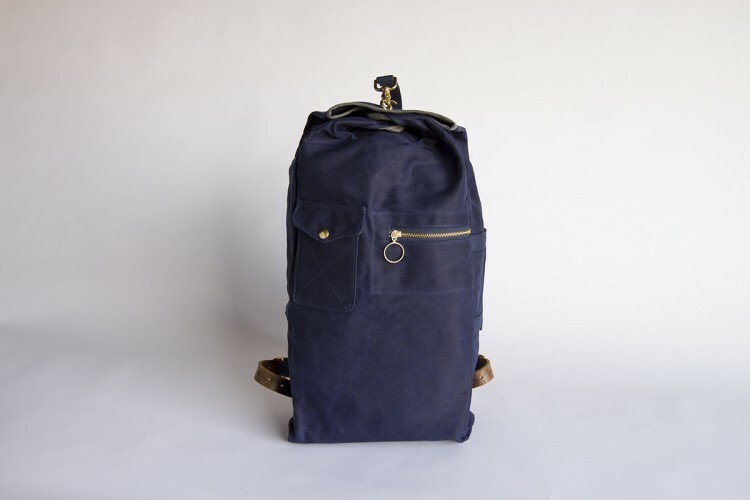 Seen above is the Backpack Duffle, a 23″ x 10.5″ x 10.5″ travel bag which can be utilized either as a backpack or a duffle bag. 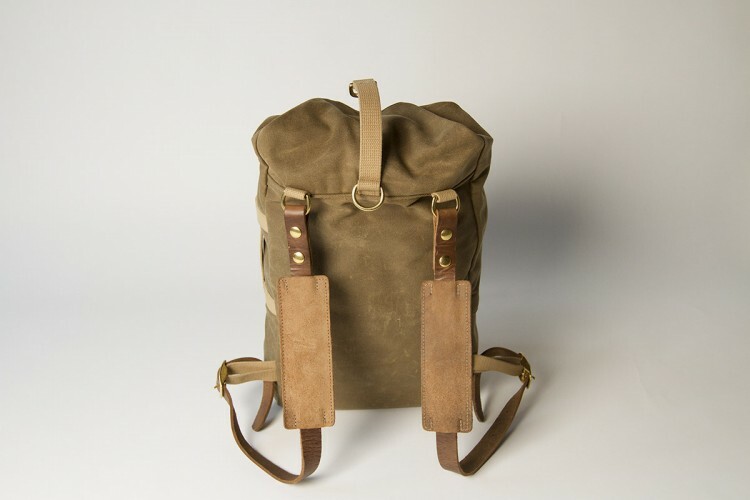 The shoulder straps are designed so they can be stowed in the bag when not in use. This is part of a limited run, with each bag numbered. Anaheim, CA: Vanquest today launches the 2017 New Products debuted at SHOT Show. The much-anticipated TRIDENT-31 backpack and the newly-upgraded FALCONER-30 backpack is Vanquest’s response to customers wanting more organization and versatility in premium tactical gear. As the bigger brother to our best-selling TRIDENT-20 (Gen-2) EDC backpack, the TRIDENT-31 is our solution for professional photographers/videographers. 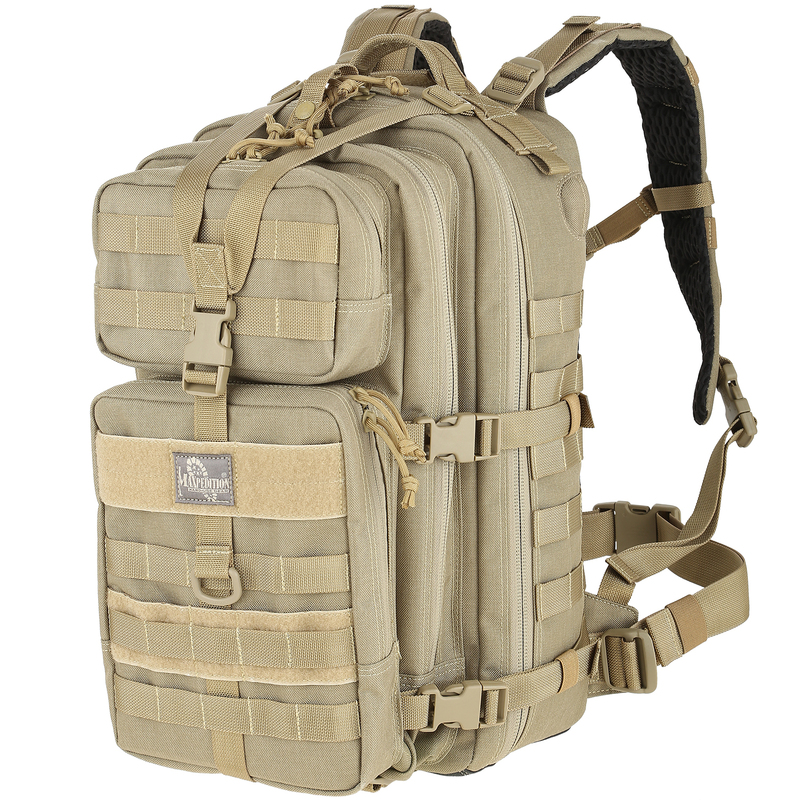 Also released is the upgraded RACKIT-36 (Gen-2) Covert Rifle Pack and new MOLLE-compatible HYDRA bottle holder accessory. The Vanquest Team has put in countless hours to ensure our end-users’ experience is nothing but perfect. Thoughtful re-design of organizational areas and new premium materials push these packs into the forefront of the industry. Using advanced US-branded materials such as laminated CORDURA® MOLLE panels and low profile Hypalon MOLLE laser-cut panels, along with custom ITW and DURAFLEX hardware, Vanquest delivers exceptional durability and value to our customers. By including customer feedback in our R&D process, this allows us to create gear that performs to their expectations. 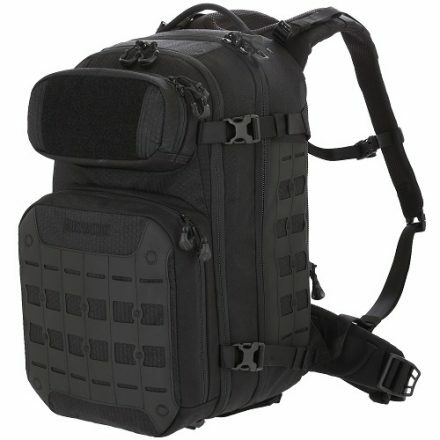 Matador’s Beast28 Packable Technical Backpack is, as its name implies, a 28-liter backpack which is also packable/stowable. Thanks to its unique design, it can be compressed down to roughly the size of a football, and weighs only 20 oz. empty. The Beast28 is made of PU-coated ripstop nylon, and comes complete with a large main compartment, breathable straps, lumbar padding, and is hydration pack-compatible. Beast 28 from Matador on Vimeo. For a limited time, Source Hydration is offering the Rider, Kangaroo, Tactical 3L, and Razor hydration packs in German Flecktarn Desert and Woodland. Prometheus Design Werx’s S.H.A.D.O (Suspension, Haul, Access, Durability, Organized) pack is a feature-rich day pack designed and manufactured in California. 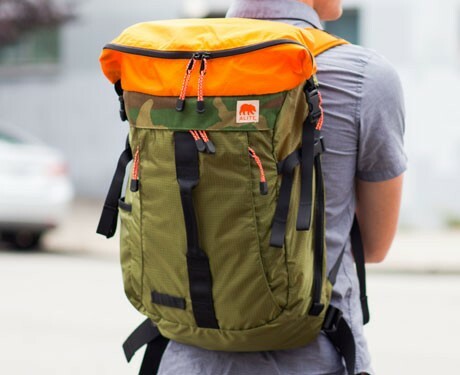 Made of 500D Cordura nylon, the pack features dual clam shell opening compartments, with a dedicated EDC compartment, padded laptop sleeve, full length internal mesh organizer pocket, and low-profile padded shoulder straps with 1″ PALS webbing overlay. 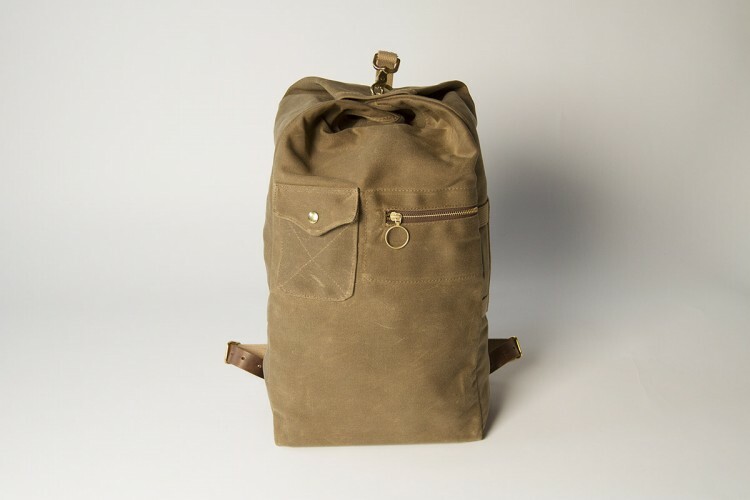 Standard Pacific’s Field Rucksack is a multipurpose bag designed to be equally at home outdoors as in the office. It’s constructed with a water repellent nylon shell and waterproof zippers. 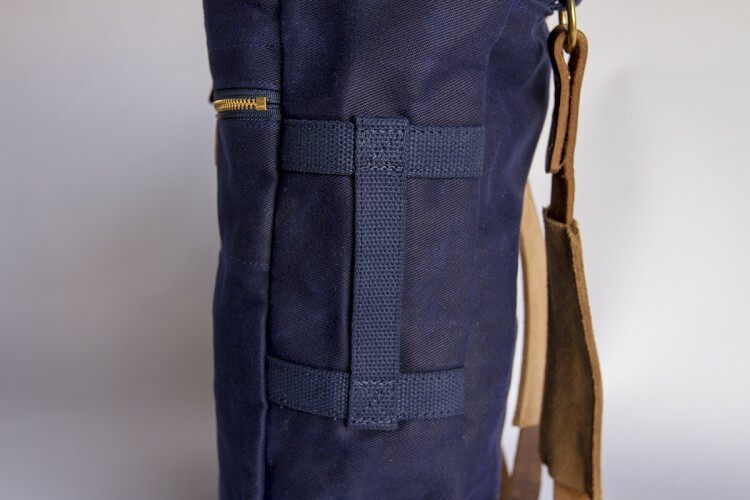 The front pocket of the Field Rucksack is fleece-lined to keep electronics screens from getting scratched, and an included thermal pocket keeps drinks and foodstuffs hot or cold for hours. 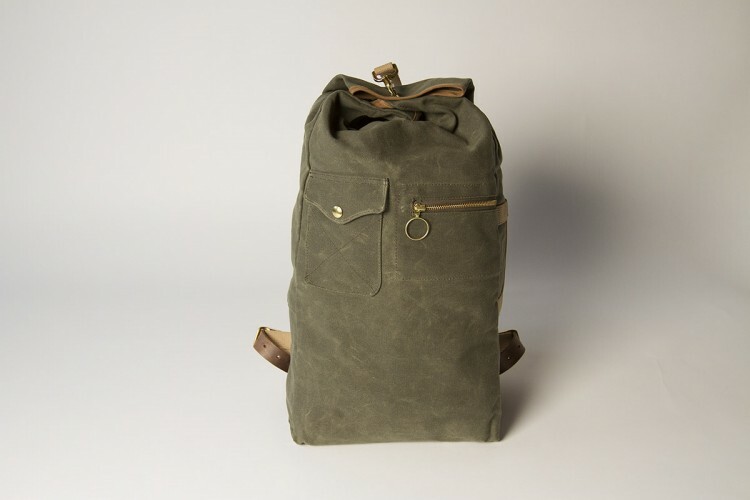 The Field Rucksack also comes standard with removable shoe and toiletry pouches. 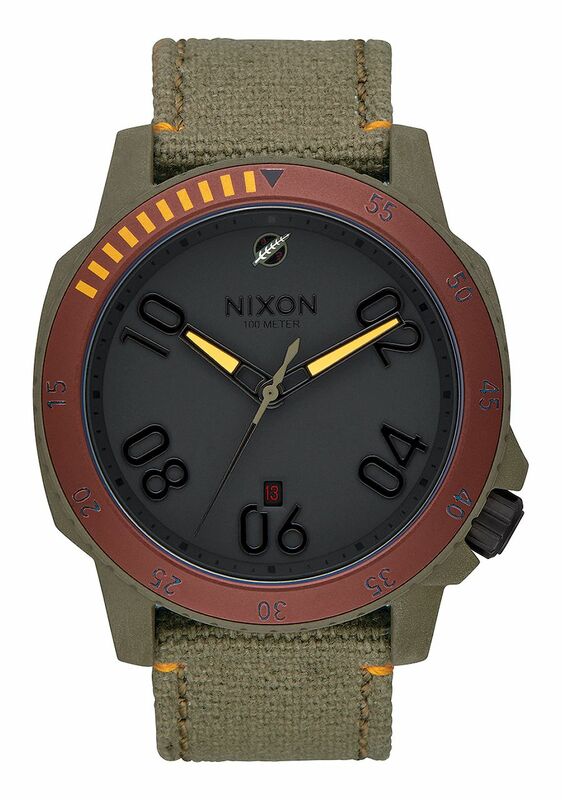 Nixon Watches has released a collection of Star Wars-themed watches and accessories. As is usual, I’m focusing largely on the gear themed after the galaxy’s most feared bounty hunter, although Nixon’s offerings extend to other themes, such as R2-D2, Darth Vader, and Stormtroopers, as expected. 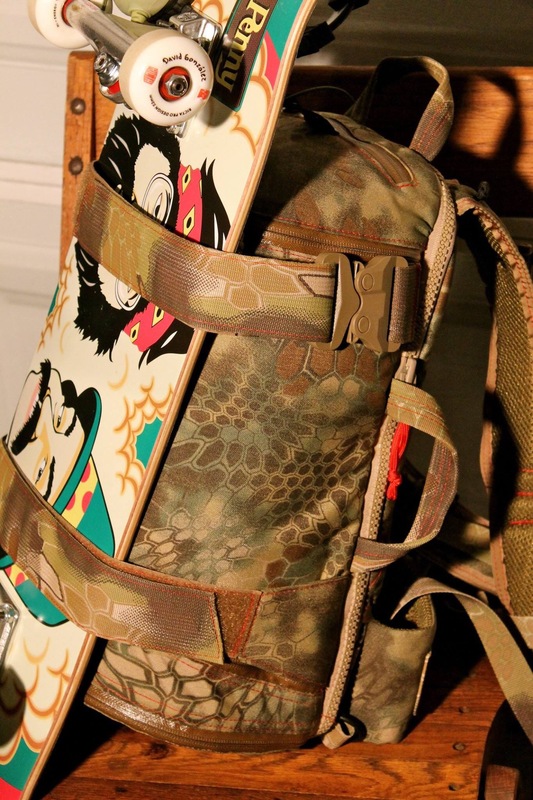 The A-10 Backpack is a top loading pack made of distress PU coated canvas, in a colorway resembling Boba Fett’s outfit. 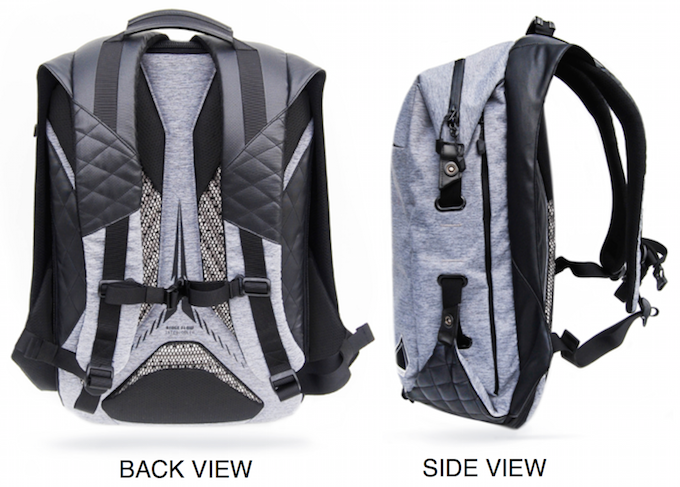 The main storage compartment features zipper closure and internal organization, and the pack also sports two vertical front accessory pockets, a side entry laptop compartment, and stretch mesh side pockets. Plus, it comes with a Han Solo in carbonite zipper pull. The Ranger SW watch, in ‘Boba Fett Red / Gray’, features Miyota Japanese quartz 3-hand movement, and a 44mm, 10 ATM custom stainless steel case. Additional features include a unidirectional stainless steel bezel, a date window at 6 o’clock, and maroon metallic anodized aluminum bezel inlay with orange Boba Fett kill stripe detailing. Japanese fashion company Beauty and Youth has partnered with luggage company Briefing to produce a couple of Camo Flap Sacks. The Sacks are made of MilSpec materials, and sport a main buckle flap entry, front zip pouch, and two side compartments. Most notably, the packs seem to be made of Brookwood’s All Terrain Arid and All Terrain Transitional pattern fabric, a feature which isn’t mentioned in any of the info for the packs. 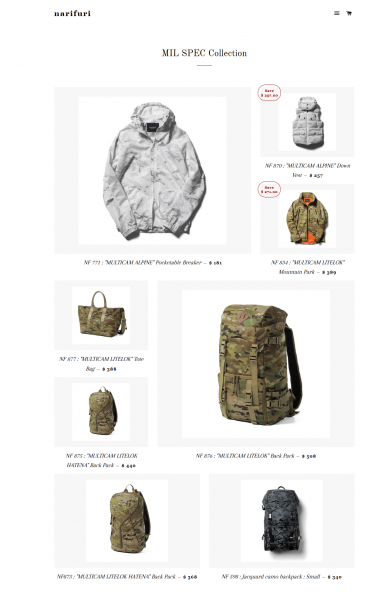 Men’s fashion apparel company narifuri has what they call the ‘MIL SPEC Collection’, which consists of several packs and jackets in MultiCam and MultiCam Alpine. The litelok pack in particular looks pretty cool. You need to check out Honor Point. 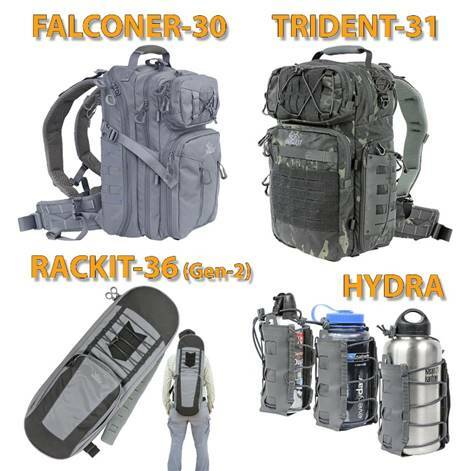 Maxpedition will be introducing many new products at SHOT Show 2015. One of these upcoming products is the Falcon-III. The Falcon-III is the latest evolution of the Falcon daypack, featuring a larger profile, improved comfort, and a lockable CCW compartment. 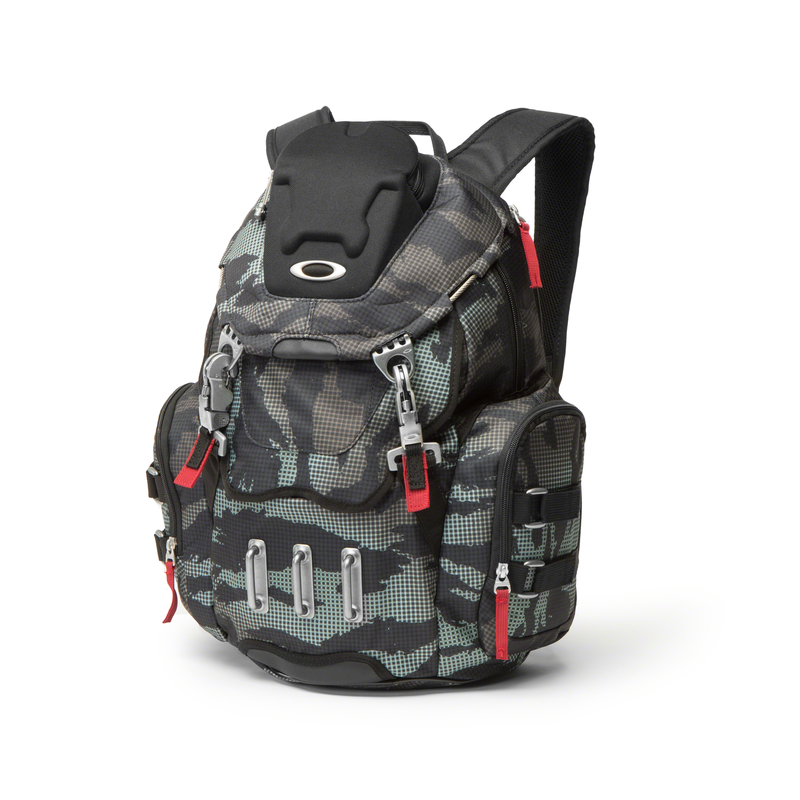 Oakley’s Bathroom Sink backpack is a pretty slick looking piece of gear. It features hardware attachments throughout, with an abrasion-resistant camouflage fabric exterior. Plano, IL (August 27, 2014) – True innovation is rare. Even in today’s world of hyper-technology, advancements are typically applied to improve existing products – only rarely to invent entirely new products based on fresh ideas. Hosts of the top-rated Archer’s Choice and The Choice television programs, Illinois-based Ralph and Vicki Cianciarulo appreciate creativity and know the value of innovation. That’s why “America’s Favorite Hunting Couple” has been using Tenzing™ packs and lending the company their experience and expertise from the field since the day it launched. 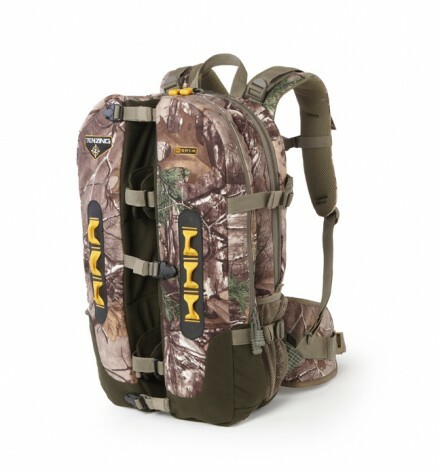 “Tenzing is a company of hunters who listens to the ideas of other hunters,” says Ralph, who along with Vicki, has collaborated with chief Tenzing designer, Jay Robert, to design a specialized line of packs ideally suited for Midwest whitetail hunting. “It’s a true shooter’s pack that will help hunters be more successful by giving them options they never had before,” says Ralph Cianciarulo about Tenzing’s new TC SP Shooter Pack. Tenzing’s “The Choice” series consists of the TC SP14 Shooter Pack, the TC 1260 Light Day Pack, and the TC 1500 Day Pack. All three packs come standard in Realtree Xtra. The Tenzing TC SP14 Shooter Pack may be the most unique hunting pack on the planet. Aside from sharing the brand-defining smart technology and practical functionality built into every Tenzing pack, the TC SP14 invents its own product category with two critical breakthrough innovations. 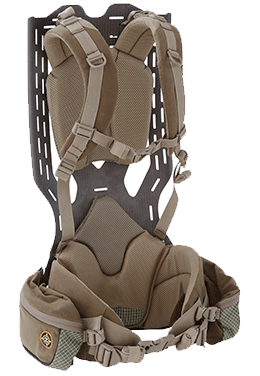 It is the only available pack on the market designed to hold a crossbow, and the pack itself is engineered and built as a self-contained shooting rest. That’s right, this one-of-a-kind pack carries a scoped rifle in a carefully designed channel on the pack’s face, allowing hunters to rest, take aim and fire without ever removing their gun from the pack. 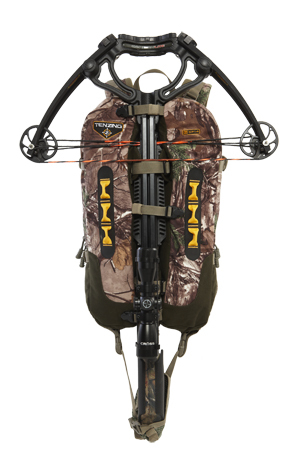 Um… and did we mention it is the only hunting pack available designed to carry a crossbow? A standout hunting pack on its own merits, the Shooter Pack delivers additional practicality to hunters through its radical yet user-friendly design as an on-board shooting rest. Crossbows are gaining rapid and widespread popularity in the archery-hunting world, largely due to their particular advantages over compound bows with respect to aiming ease and ultimate accuracy. But crossbows have their disadvantages. They tend to be bulkier and more cumbersome than compounds, which can make them more challenging to use in the field – especially when attempting to hunt or transport them through heavy cover. The unique design of the TC SP14 cradles the stock of any crossbow within its deep center channel, while optimizing the position of the limbs to minimize snagging on brush or branch. “The crossbow is cradled by the pack and doesn’t stick out,” says Vicki. “This is a pack that solves the problem of how to carry a crossbow… anyone can use it,” she concludes. The TC SP14 is one of very few hunting products that transcends its primary role and purpose. Simply put, there’s nothing else like it. 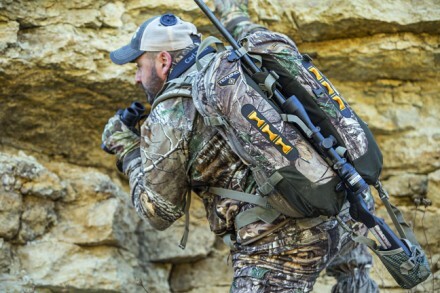 A standout hunting pack on its own merits, the Shooter Pack delivers additional practicality to hunters through its radical yet user-friendly design as an on-board shooting rest. “In the mountains or back country, it’s a real benefit to keep your gun on your pack,” says Ralph. “But critical time can be lost when you need to access it for a shot,” he continues. Tenzing addressed this in the unique design of the TC SP14, which keeps the firearm accessible and functional when fully secured to the pack, allowing hunters to go from stalking to shooting in just seconds. Instead of scrambling to remove the firearm from the pack, the pack and firearm quickly come off the hunter’s back as one unit, while the pack becomes a steady and functional rest. “It’s a true shooter’s pack that will help hunters be more successful by giving them options they never had before,” Cianciarulo concludes. Crossover features aside, hunters will appreciate the TC SP 14’s primary capabilities as a pack, which feature a roomy 1600 cubic inches of space inside nine total compartments and pockets. Practical side pockets and useful face and side mounted compression straps help ensure that wearers will be able to pack out more than they pack in. As they did with the other two packs in the TC Series, Vicki and Ralph asked Tenzing engineers to apply a soft and silent TRICO® fabric covering over the TC SP14’s DYNEEMA® strength panels as a sound deadening measure, a feature which comes in handy when placing or taking items in or out of the pack. “It also makes the pack quieter when it’s being used as a shooting rest,” Ralph adds. 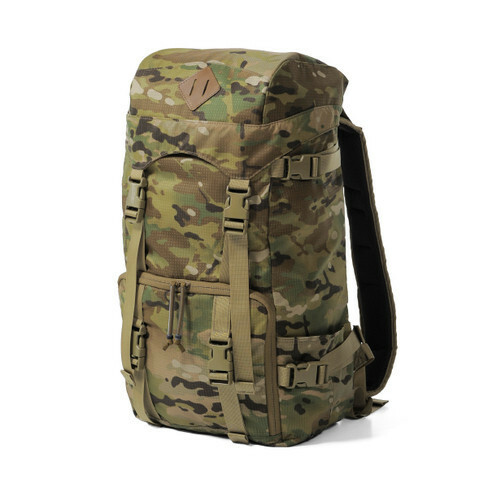 Like all Tenzing packs, the TC SP14 is a dream to wear, courtesy of its padded hip panels and breathable mesh back pad. But Vicki and Ralph’s “The Choice” Series packs don’t stop there. They feature a new Comfort Stretch Waistbelt System employing concealed elastic straps that automatically adjust for a perfect fit, no matter how many layers of clothing the hunter happens to be wearing. Ralph and Vicki Cianciarulo expand the boundaries of what outdoor television can be each week on their innovative programs. Now, with the introduction of the TC SP14 Shooter Pack, they are helping create new opportunities for success among Tenzing’s loyal customers. Never miss another shot opportunity wrestling your gun from its scabbard. Take the breakthrough TC SP14 along on your next hunt, and you’ll be taking care of business. HOBOROLL is a project currently up on Kickstarter. Made from 30D siliconized nylon, the HOBOROLL features 5 compartments which allow for easy separation of items. An additional internal zippered pocket allows for secure storage of smaller items such as keys, ID cards, etc. It opens up from both ends and secures using anodized aluminum fasteners in addition to a drawstring with high draft collar. Collected Works Co.’s Military Duffle Pack is made from waxed canvas, with Horween leather straps and shoulder pads. 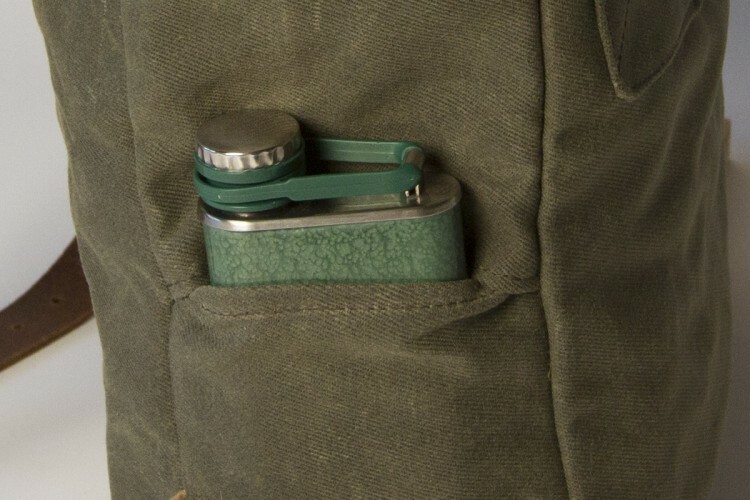 The exterior features a snap flap pocket, zipper pocket, and secret flask pocket. The interior features a laptop sleeve, zippered tablet pouch, open-top notebook pocket, open top phone pocket, and two open-top pen pockets. Available in Olive w/ Brown trim, Navy 2/ Gray trim, and Ranger Tan. Made in the USA. Emer Equipment’s Modular Urban Backpack is a 20-liter urban pack with included German-made magnetic coupling hardware. The pack incorporates padded and fleece-lined internal laptop and tablet pockets, and two weatherproof exterior gear pockets. 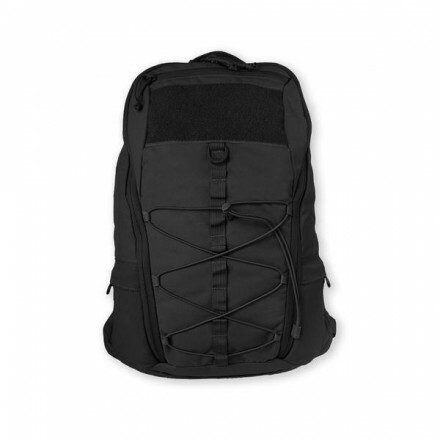 The exterior of the pack is made from Cordura nylon, and the interior is lined with Cordura nylon. It is currently up for funding on Kickstarter. Ember Product from Ember Equipment on Vimeo. This entire collection comes tucked away inside a Bear Grylls River Patrol 45 survival pack. The Shifter Pack is a multi-purpose pack with a 31 liter capacity and hydration compatibility. It’s made from lightweight, water-resistant and weatherproof waxed kodra, and has a vented mesh backing for breathability. 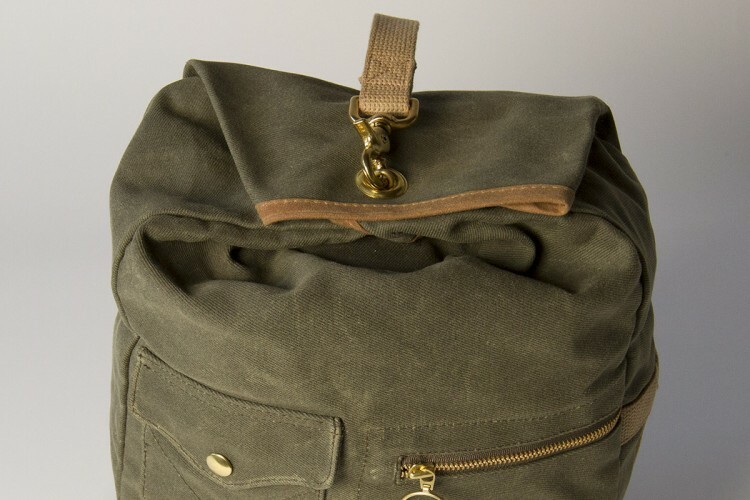 An expanded roll top allows for additional storage, along with double front pockets. A side zipper allows access to a special, padded laptop pocket. The padded shoulder straps feature reflectors for when manuvering in the dark. Available in Black, Blue, Green, Grey, with a limited edition Green, Woodland, and Safety Orange variant. Plano, IL (September 9, 2013) – The Tenzing product line was born by engineers thinking outside of the box of what had always been the norm for hunting packs. For 2013 they are at it again, but this time thinking outside of the frame. Proof comes in the form of the new Tenzing TZ CF13 Carbon Fiber Frame System. It only takes a quick glance to realize that the TZ CF13 is something special, and then the “WOW” really comes when the frame is picked up. The carbon fiber frame and suspension together weigh only 3 pounds, 8 ounces, yet have been designed to be the most comfortable wearing pack frame system on the market capable and expandable to carry whatever the hunter can imagine. But that’s what the TZ CF13 is all about … versatility. 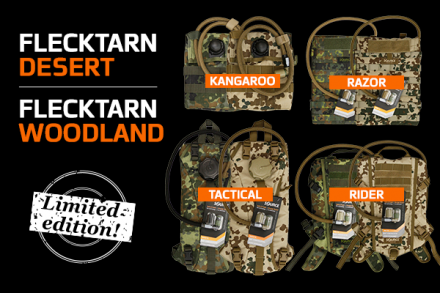 It can be used as a frame only, or as a more traditional hunting pack when fitted with the Tenzing custom components that are included with the system. Tenzing’s frame is constructed with 100-percent carbon fiber; it contains no fiberglass fillers. During the manufacturing process, the frame is pre-impregnated with aerospace grade resin, externally pressurized, and then heat cured to solidify its construction. Based upon field-tested requirements, it is built with a quasi-isotropic, balanced layup of 2×2 twill weave carbon fiber. This ensures the ideal strength-to-weight ratio. After curing, the solid composite frame is extracted from the mold and then handcrafted and precision-machined to exacting specifications, with all processes occurring right here in the USA. The frame’s form-fitting rigid shape and fully adjustable suspension system are all about wearer comfort and hauling big loads. It has been designed to flex with movement of the hips as you walk, yet remain extremely rigid allowing the load to stay secure and tight against the body. The TZ CF13 offers so many loading options with its amazing suspension system that it’s virtually impossible to calculate a maximum cubic inches capacity by which most packs are measured. Included with the system is a top that comes off and can be used as a fanny pack. Also, the pack has wings on each side that wrap around a 24” x 11.5” x 7” bag. On the frame is a bottom Dyneema shelf. Located inside the Dyneema shelf is a hunter orange pullout for use as a safety feature when packing horns. 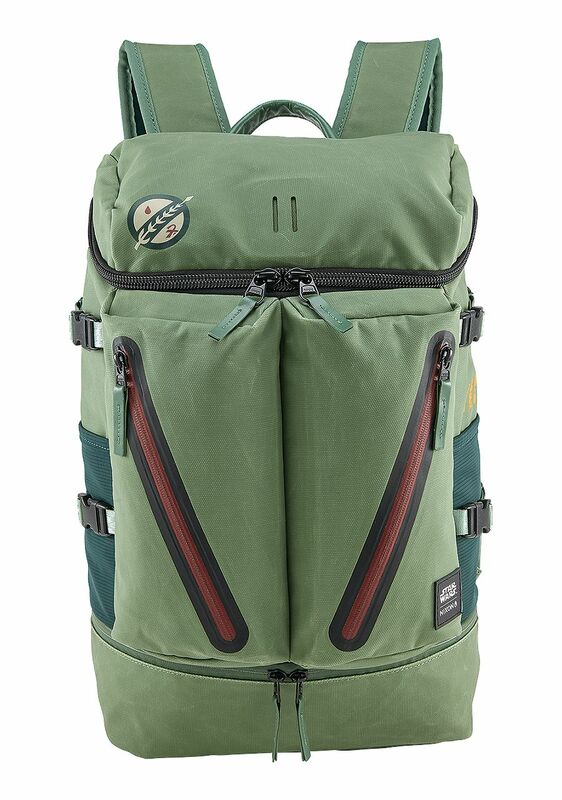 For even more packing options, the pack has six horizontal compression straps – three on the frame and three on the wings – and two vertical compression straps on the bottom reservoir. Last but not least, there are two removable hip pockets. The pack system’s innovative new ergonomic waist belt rides where it is supposed to and adjusts easily with pulls on both sides for centering the load when buckling up. Elastic cuffs keep the straps quiet and secure while the wearer is moving. The entire TZ CF13 system comes with everything listed above, weighs just under 6 pounds altogether and has the capability to carry payloads of more than 300 pounds. The Tenzing TZ CF13 frame color is light gray, and the pack is Loden Green. 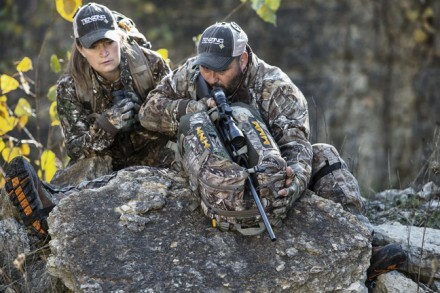 For more information about the TZ CF13 and all Tenzing products, visit www.TenzingOutdoors.com.